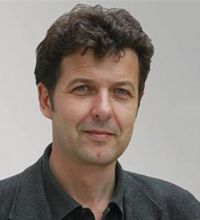 RICARDO EICHMANN is director of the Orient-Department, German Archaeological Institute Berlin, and in this function head of the EMAP activities carried out at the German Archaeological Institute. Among his research interests is the music archaeology of string instruments, particularly lutes. Together with Ellen Hickmann he founded the International Study Group on Music Archaeology (ISGMA) in 1998. He is one of the editors of the book series 'Studien zur Musikarchäologie'.